If you are trying to figure out what is wrong with soy because you were once told it was healthy, you will not be happy when you learn the truth about it’s negative health effects. Some people love soy milk. My favorite drinks at Starbucks are iced soy lattes, iced soy chai lattes, and steamed soy lattes. Soy milk is delicious and creamy, with a hint of sweetness. But unfortunately, just because something tastes amazing does not mean that it is good for me (I’m also thinking about pizza and doughnuts here…they might sound yummy, but are horrible for your health). Soy products are everywhere… from soy milk, soy ice cream, soy yogurt, and soy cheese to tofu and a number of other packaged products. Almost everything has soy in it these days! 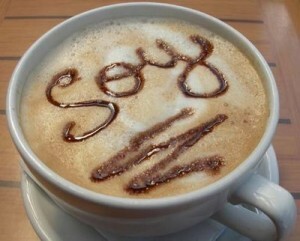 In fact in the book Stuffed and Starved, author Raj Patel claims that 75% of foods in the supermarket have hidden soy! One of the most common preservatives/stabilizers in packaged products is soy lecithin found in almost 100% of packaged and fast food. It is seems almost impossible to for someone on a Standard American diet to avoid it. The most well-known problem with soy is the effects if has on the estrogen levels in both men and women. Did you know that soy contains plant estrogens? When consumed, these plant estrogens raise your internal estrogen levels, and cause your testosterone levels to decrease. Estrogen, which has a direct counteractive effect on testosterone, can become too high in men for a variety of reasons including just eating too much soy. Is that enough motivation for you to avoid soy? It is plenty for me! And besides, I’ve learned that coconut milk tastes better anyway. I believe that avoiding highly processed foods will be the first step so that you can lose weight. They will taste excellent, but ready-made foods currently have very little nutritional value, making you try to eat more in order to have enough energy to get throughout the day. If you’re constantly ingesting these foods, transferring to whole grains and other complex carbohydrates will let you have more vigor while having less. Interesting blog post.